If Tokyo is Japan’s mecca of everything “omoshiroii”, then Kyoto surely is the mecca of everything historical, and thus its cultural heart. Strewn with shrines, temples, and more tourist attractions than you can shake a stick at, the former capital of Japan’s cultural heydays of yore has a lot to offer tourists who want to experience the “real” Japan. 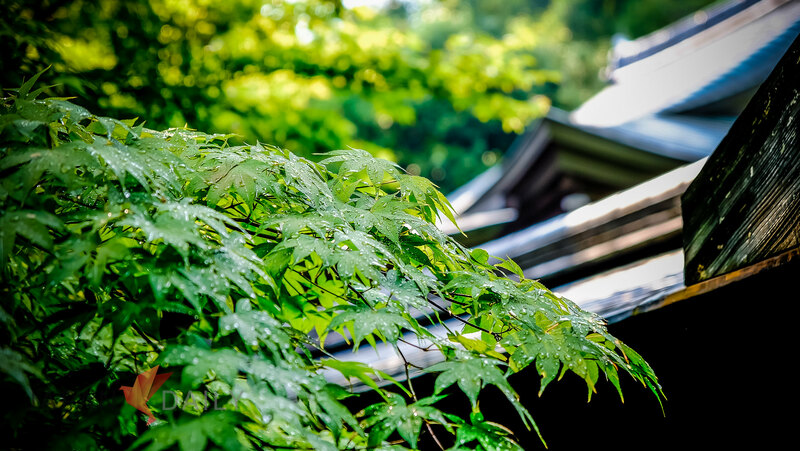 While there are certainly many interesting places to choose from, if you want to get your Zen on and visit a truly famous World Heritage site at the same time, then Ryoan-ji Temple in Northwest Kyoto is the place to go. 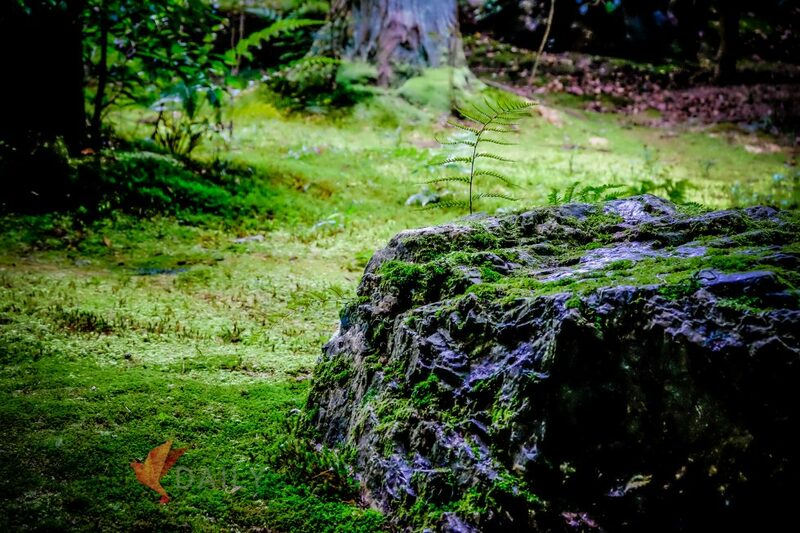 Originally relatively unknown, the Temple, whose name translates to the Temple of the Dragon at Peace, began to gain fame for its beautiful Zen rock garden, and inadvertendly starting a Zen trend, which quickly gained fame outside of Japan as well. 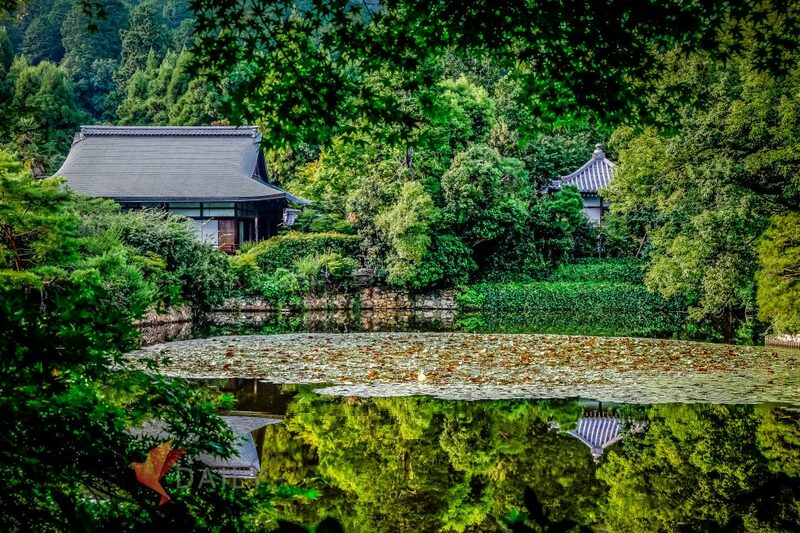 Eventually, the trend grew into the worldwide “Zen boom” of the 1960s and 70s, culminating in an official visit to Ryoan-ji by none other than Queen Elizabeth II herself. 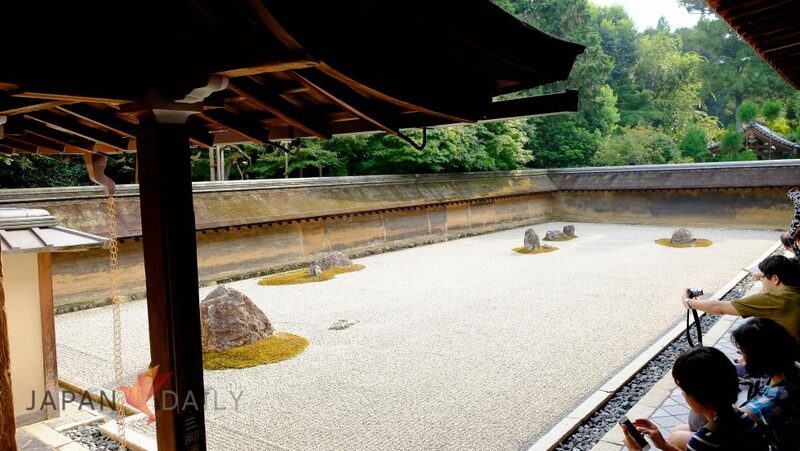 Her effusive praise for the rock garden helped establish Ryoan-ji as the embodiment of Zen thought in the world’s collective imagination. Subsequently, the temple was visited by famous people such as Steve Jobs, who (according to his biography) liked to visit and meditate at the Rock garden and in the temple grounds, and perhaps even found some inspiration for the initial iPhone here. 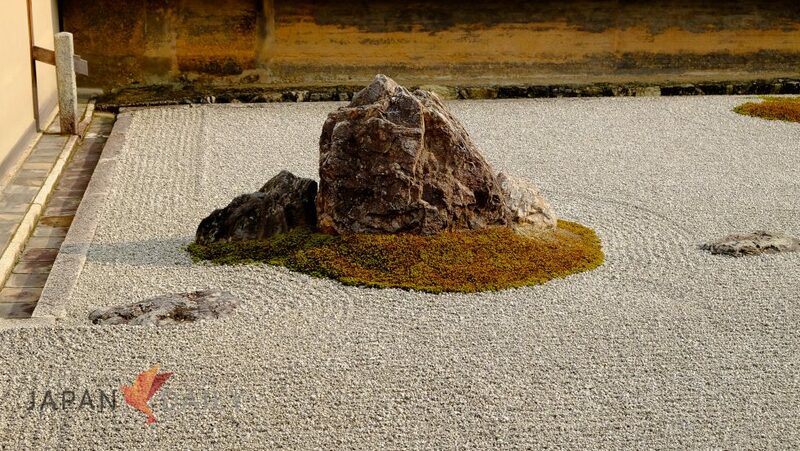 The Ryōan-ji garden is considered one of the finest surviving examples of kare-sansui (“dry landscape”), a refined type of Japanese Zen temple garden design generally featuring distinctive larger rock formations arranged amidst a sweep of smooth pebbles (small, carefully selected polished river rocks) raked into linear patterns that facilitate meditation. 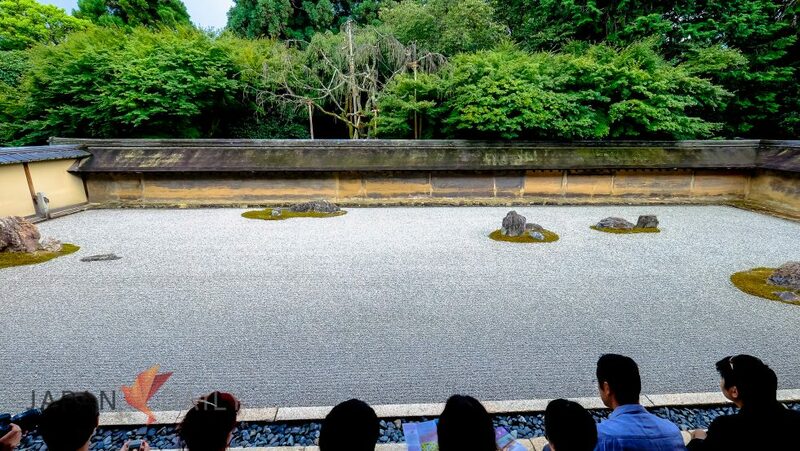 It is said that while sitting at the veranda, it is impossible to see all 15 larger stones in the rock garden at the same time, unless you’ve found enlightenment. 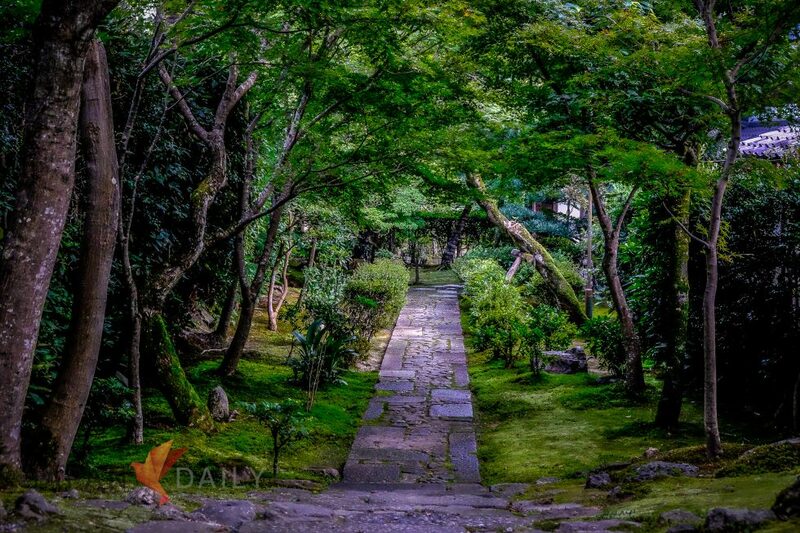 So, whether you are on a spiritual journey of enlightenment, or on a cultural journey of discovery, this pristine temple in Northwest Kyoto should not be missed. It’s not the biggest or most pompous temple in the city, but it certainly is one of the most beloved by many people, ranging from royalty to commoners alike; whether you want to follow in the footsteps of fame, or create your own, this place is always worth a visit. The Temple is located not too far from Kyoto Station and is easily reachable via Subway, bus, and local train. From JR or Kintetsu “Kyoto station”. Take the city bus 50 to “”Ritsumeikan daigaku-mae” stop. it takes about 7 minutes walk to the temple from the stop. From Hankyu railway “Omiya station”. Take the city bus 55 to “Ritsumeikan daigaku-mae” stop. From keihan railway “Sanjyo station”. Take the city bus 59 to “Ryoanji-mae” stop. Take Keifuku Kitano Line to “Ryoanji”. it take about 7 minutes walk to the temple from the station.